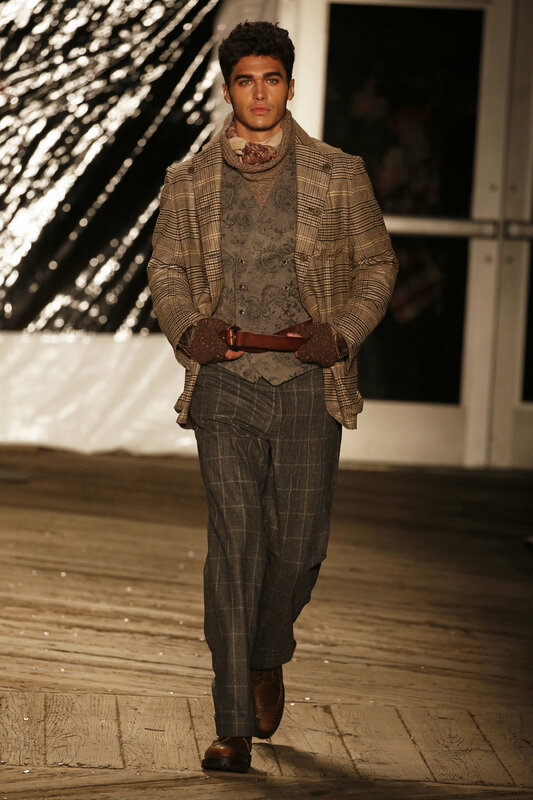 Globe Fashion Runway : The cutting-edge fashion show coverage from New York, Paris, Milan and London. The serene romance of the past and cutting-edge sophistication of the contemporary are intertwined in the Anne Barge Spring 2020 collection. Inspired by the brand’s Southern roots, this season’s concise collection of gowns are infused with a fresh modern vibe putting a spin on old world charm. Gowns are carefully crafted with Mikado scuba fabric, fine lace, crepe, and bustier details that elevate traditional bridalwear to make a modern statement. Romantic re-embroidered lace gowns bloom with off-the-shoulder floral brocade capes and coats. Clean contemporary silhouettes sculpt the female body for the most figure flattering fits. Dramatic corset bodices, mermaid skirts, and princess tulle with lace appliqués add an ultra-femme touch, while intricate seaming adds a layer of depth and luxury. The dreamy details of the Spring 2020 designs pay tribute to Anne Barge’s signature aesthetic while simultaneously celebrating the present-day bride. Founded in 1999, the Anne Barge Bridal collection is renowned for timeless gowns with a contemporary twist. Inspired by vintage couture, the Anne Barge collection combines the best of classic design and modern trends, using the finest fabrics, embellishments, and embroidery sourced throughout the world. Anne Barge offers an abundance of elegant options for the discerning bride in two collections, Anne Barge Couture and Blue Willow Bride by Anne Barge. With profound expertise in creating special occasion evening wear gowns, Anne Barge Black Label is made with the brand’s trademark attention to detail, from fabric to fit. The Anne Barge philosophy is simple, “Good design is timeless”. Anne Barge is a bridal and evening wear design house based out of Atlanta, GA with retailers worldwide. A favorite among celebrity brides and red-carpet icons alike, Shawne Jacobs, President and Creative Director of Anne Barge has created custom designs for Meghan Markle, Kerry Washington, Josephine Skriver, Jeannie Mai, Carrie Underwood, Kellie Pickler, Laura Benanti, Johanna Braddy, Kristen Cavallari, Taraji P. Henson, Lauren Alaina, Maddie & Tae, Zoe Perry, Yvonne, Violett Beane, Amirah Vann, Amber Riley, Leah Pipes, Eva Longoria, and more. Galia Lahav presented its Spring 2020 Bridal Couture and Bridal Gala collections on Saturday, April 13th in New York City, New York at Jack Studios. This season, designers Galia Lahav and Sharon Sever float down the rabbit hole for Collection VIII, a range of exquisite wedding gowns inspired by the gorgeous fantasia of Alice in Wonderland. With nods to Edwardian fairytale heroines, untamed garden labyrinths, and the skewed glamour of Tim Burton, Collection Gala VIII is a different way of looking at wedding gowns. Mira Zwillinger presented her latest bridal collection at Union West in Chelsea, New York, on April 11, 2019. 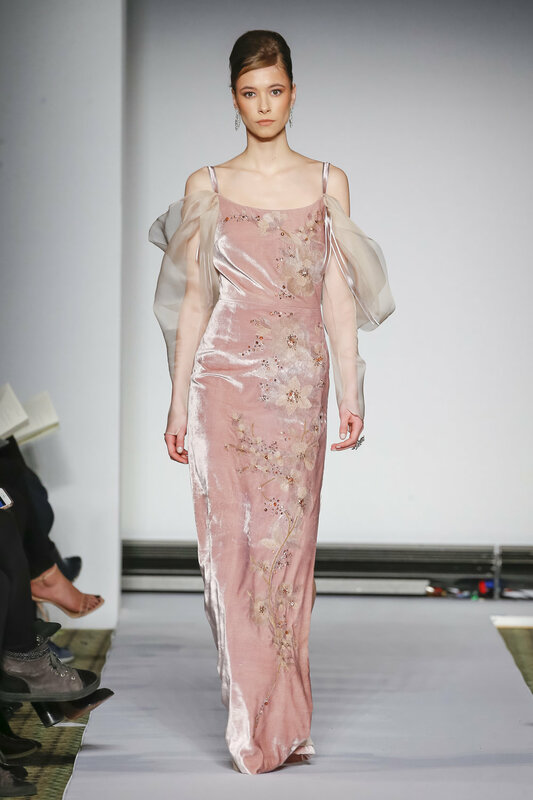 The mother-daughter design team (Mira and Lihi Zwillinger) debuted their 2020 collection – called Make A Wish –of effortlessly feminine silhouettes and featherweight materials for their 5th New York Bridal Week show. The Make a Wish collection showcased Zwillinger’s innovative use of 3D printing technology, which allows her to hand-draw stunningly intricate embellishments directly onto the Belgian tulle, silk organza, French and Italian lace, and polished gazar that dominate the collection. Traditional ornamentation in pearls, Swarovski crystals, high-shine and matte sequins, and hand-stitched embroidery also made their mark and blended seamlessly with the 3D printing techniques, creating a modern collection with timeless elegance. The runway collection of 29 looks included 25 floor-length gowns, many of which incorporated voluminous, whisper-thin skirts lending an airy, ballroom feel to the collection. Other designs opted for high necklines and low-backed bodices with seemingly weightless, ethereal transparent capes. Four mini-length bridal dresses were also incorporated for an avant-garde and edgy alternative. Mira Zwillinger founded her fashion house in 2010, opening a discrete atelier for discerning ladies in Tel Aviv. In 2015, her daughter, Lihi Zwillinger, joined her in establishing their international luxury evening and bridal wear design firm which became one of the most sought after bridal fashion houses in Europe. In the United States, Mira Zwillinger designs are carried by retailers including Mark Ingram, Moda Operandi and Saks Fifth Avenue. The designers live, work and produce in Tel Aviv. On Tuesday 12 March 2019, IAN Schrager premiered The Times Square EDITION to an A-List crowd proving that sophistication has returned to Times Square. A candlelit dinner was served at The Terrace Restaurant at EDITION by John Fraser followed by a surprise performance by Diana Ross and Nile Rodgers and Chic in the Paradise Club. The Times Square EDITION may just be the long overdue and best thing to hit Times Square in over a century. There simply has never been anything like it before in New York City’s famed cultural and entertainment mecca. Ian Schrager, in partnership with Marriott International, introduces a new order with the first chic and sophisticated luxury hotel and the first Michelin-starred chef ever to grace the neighborhood, along with the creation of a new form of Cabaret theater and a complete reinvention of billboard art. But what could be the most important part is a revitalization of Times Square that will attract not just visitors and tourists, but New Yorkers as well, punctuating the area as the City’s epicenter and crossroads of the world...again. SIENNA LI FW19 Collection - "Polarity"
Sienna Li fall/winter 2019 collection "Polarity" was presented at the Jane Hotel on Tuesday, February 13th. Inspired by the industrial shift at the end of the 20th century when women joined the workforce and men wore many plaid, wool, suiting, but women at the time had a polarity in wearing gowns with puffed sleeves as well as factory working women choosing a mixture of women’s and men’s clothing of the period. 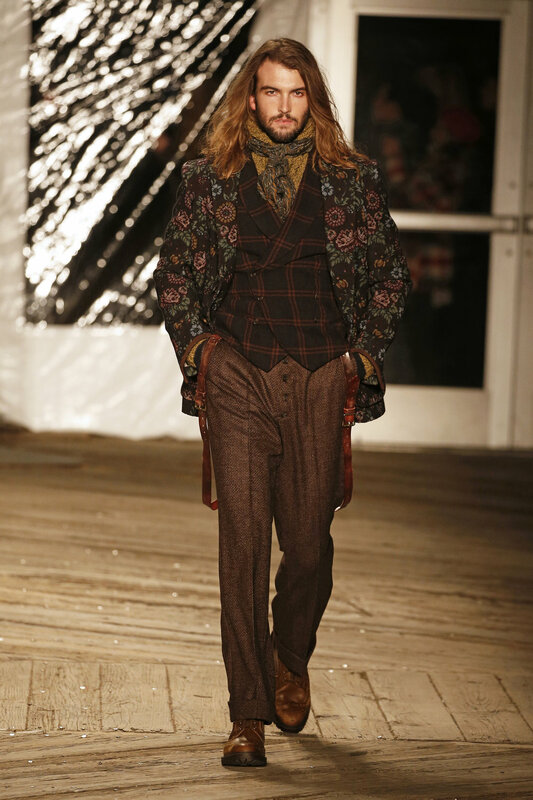 Playful elements included costume beads and buttons and rebellious mixed animal prints and whimsical. Distilling classic romance into a modern sensibility, SIENNA LI creates upscale, ready-to-wear and custom made couture that invite ladies to join graceful adventures in the designer’s fashion aesthetic world. Imaginative designs accompanied by original creations in construction, silhouette and finishing, SIENNA LI celebrates unexpected beauty and tasteful stylishness with a light sense of mystery. Founded by designer Sienna Li, the SIENNA LI studio is located in the New York garment district and hires the most experienced seamstresses and pattern makers. Construction is perfected by unlimited fitting processes. Luxury fabrics are tailored into innovative designs with respect for the extremely detail-oriented craftsmanship. All of the clothing is produced in New York with the most exciting quality control. Influenced by various cultures and art education, Sienna’s design philosophy thrives on her knowledge and experiences beyond fashion. She earned a bachelor’s degree in Chinese literature from China and a master’s degree in English literature from the UK. Her early pursuits in literature provides her with a sophisticated and creative perspective on art and fashion. The multicultural background also became a profound source of inspiration. When interviewing creative talents while she was working as a journalist in London, she was inspired to pursue a career in the fashion industry. Trained in Central Saint Martins and enrolled in Parsons the New School of Design, she is proficient in design, patternmaking and manufacturing. She refined her expertise and business sense by working in Jason Wu and Johnathan Cohen’s studio. 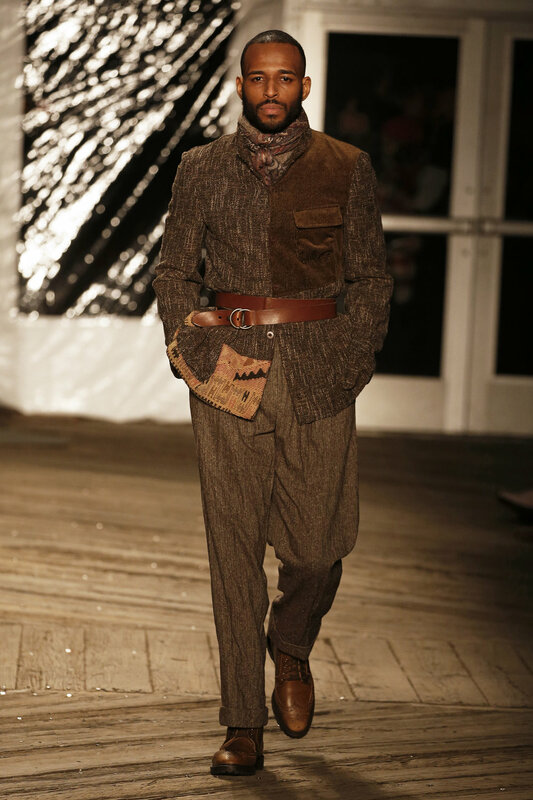 Romeo Hunte’s Fall/Winter 2019 Collection pays rightful homage to the fashion trends of the early to mid-1900’s. Hunte mixes vintage glam, grit and street to create a collection filled with fur, fringe, and fascinators. The collection features tie dye bodysuits, satin poncho puffers, denim, trench coats, lambskin tie dye jackets, and biker jackets; staying true to their unique and trendy outwear ethos. Tassels, embellishments, fishnets and a bright color palette compliment the unique designs. Models who walked the runway included Jason Rodriguez of Pose, and NFL players DJ Moore and AJ Hardy, along with others of various backgrounds, sizes, color and gender, which speaks to the inclusivity that the brand portrays. Key attendees included Eric Rutherford, Miss J Alexander, Julie Mintz, and Andrea Rachel. The Romeo Hunte brand was created in 2013 and rests on outerwear that finds the perfect synergy between modernity and luxury. Their vision is to create modern classic apparel that is practical and transitional at a contemporary price point. Designed in New York City, the line embodies an aesthetic that is cool and intricate, with a seamless balance between feminine and masculine. Romeo Hunte has been worn by First Lady of US, Michelle Obama, Beyoncé, Zendaya, Victor Cruz, Dee Hilfiger, Halle Berry, Gabrielle Union, Rita Ora, Dwayne Wade, Evan Turner, Laverne Cox, Justine Skye and more. 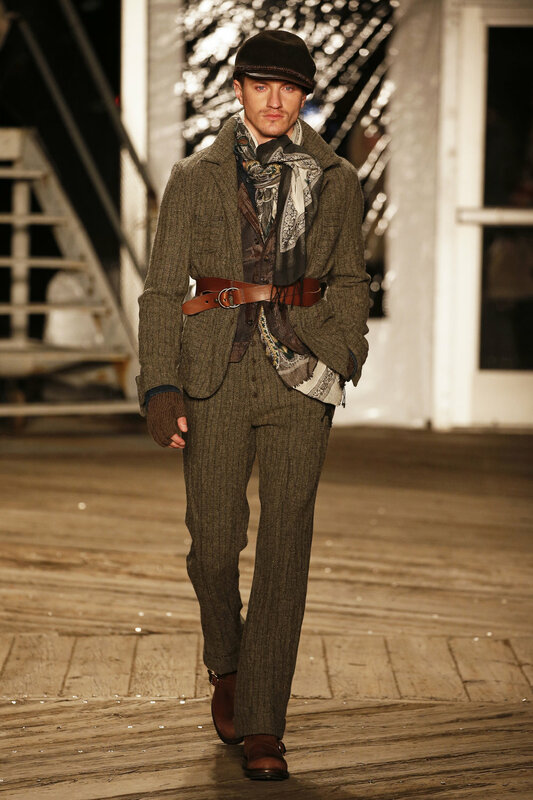 On Monday, February 11th, at Cipriani’s 42nd Street, Dennis Basso debuted its Fall/Winter 2019 collection at New York Fashion Week. The inspiration for this collection is the “New York City Girl.” I think women around the world all have a desire to be a New York City woman. This allows her to experiment with fashion from high to low with a feeling of freedom, strength, and independence. The original New York City girl is our own statue of liberty that represents this woman from casual days to gala evenings. Our New York City woman never allows the clothes to wear here; she wears the clothes. The silhouettes include haberdashery coats and jackets with feminine touches. 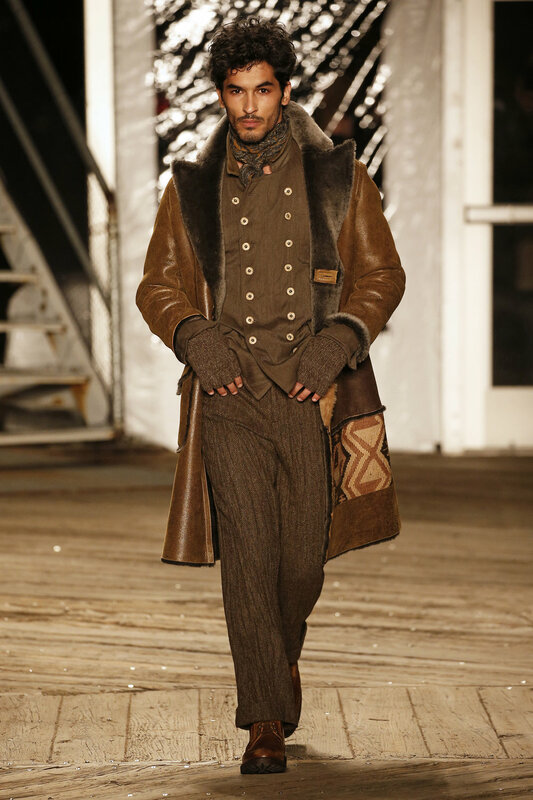 Fabrics include cashmere, fox, sable, mink, chinchilla, shearling, dutchess satin, wool jacquard, mohair, and faux fur. After-five dresses and evening gowns have hand embellished flowers, beaded embroidery, animal print, metallic finishes, feathers, and hand pleating. Classic silhouettes include form-fitting gowns and strapless bodices with ball gown skirts. The color palette for this season is daffodil, café, aubergine, faded pink, and rose gold. Inspired by iconic gangster movies, the show opened with Phillipe Blond wearing a glamorous oversized, metallic-gold-lined, faux fur ivory coat. What followed were models including Paris Hilton, Karrueche Tran, Mj Rodriguez, Aquaria, Lion Babe and The Clermont Twins adorned in incredibly luxe looks featuring rich jewel tones combined with thrilling tiger prints and gold hardware. After the models stationed themselves at the top of the runway, the music shifted and a surprise appearance by Lil' Kim led to a performance of her new song, GO AWFF to close the show. On Monday, February 11th, alice + olivia presented the 2019 collection at Angel Orensanz. Inspired by “Fantasia” the magical collection featured an array of colors, flowers and butterflies. 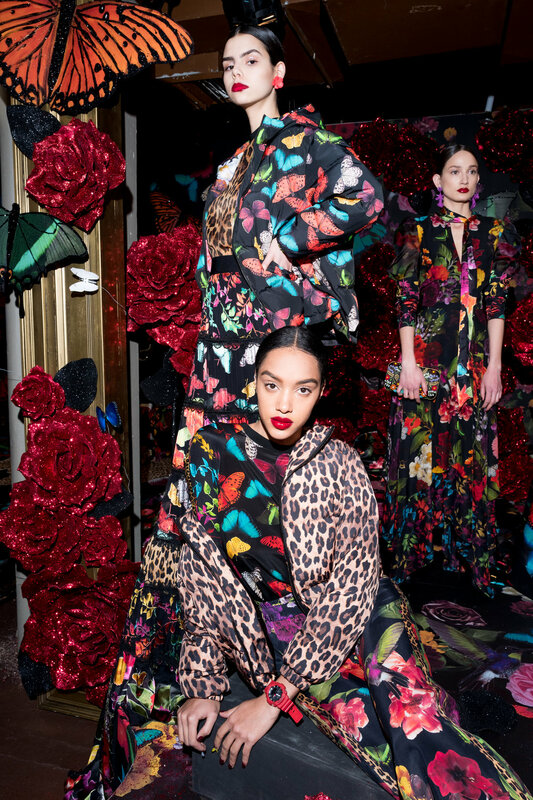 Alice + Olivia by Stacey Bendet Fall 2019 collection is inspired by fantasia, a narrative that is derived from deep inside the imagination. Not based strictly on history or fact, but rather a modern fairytale, a romantic story, a place where magic touches on reality, beauty empowers, and dreams really do come true. Dreaming of a girl in a world of whimsy and color, Bendet has managed to merge art, fashion, and fantasy with a show that brings her clothes to life through a detailed and imaginative visual experience that speaks to the dreamer in you. 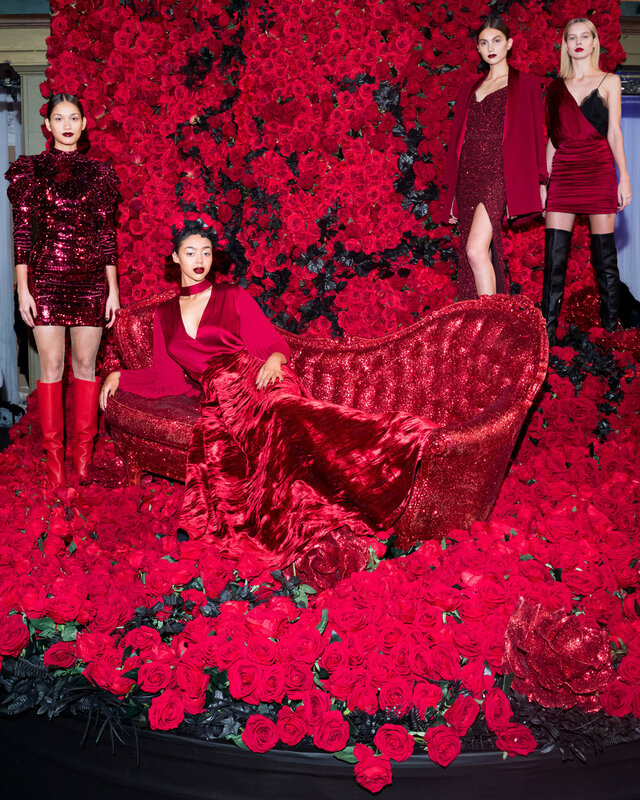 For the collection, the clothes evoke surreal beauty and sensual moments, set on stages of magical sparkling snow, and rooms made entirely of red roses and glowing butterflies and sparkling leaves. 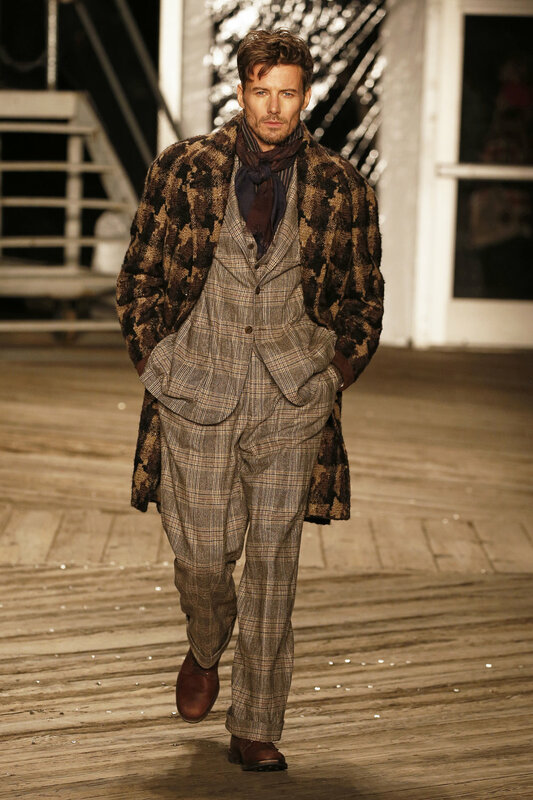 Bendet weaves a story of fantasy and reality, creating a magnificent and decadent fall collection. Step into the dream world of alice + olivia through artistic and elaborate sets at the enchanting Angel Orensanz Foundation, where imaginative prints are complimented by a color palette of rich jewel tones in shades of bordeaux, merlot, ruby, and pink mixed with black, white and sparkling metallics. The Queens of Fantasia are the stand out looks—a pleated bordeaux skirt made with yards of iridescent pleated taffeta is paired with a top created in a new technique of velvet sequin, and a giant rose crown. The snow princess is in a full-length skirt of ivory feathers with a gorgeous white puffer jacket. Prints take a sophisticated turn this season. Engineered burn outs are rich and elegant, while the majestic butterfly print is featured on dresses, kimonos, capes, and pants. Puffer jackets in reversible prints and patterns have a moment, shown over evocative dresses and sequin skirts. Statement T-shirts continue, tying back to the show theme with details such as the female protagonist, and a rainbow fringe sweatshirt embroidered with the word “grateful”. Signature pants are in a variety of shapes made to juxtapose evening and day—velvet cargo joggers and wide leg pull up styles. The suit of the season is a beautiful merlot satin straight leg pant with an expertly tailored velvet tonal blazer, symbolizing a lux minimalist-meets-maximalist ode to the 90s, while shoulder pads, plunging necklines and short lengths make a statement in the dress world. Animal prints continue into fall, mixing leopard and zebra, featured in mix print and pattern sequin dress and sequin blazer, while rocker t-shirts are cut and sewn and engineered with animal print patterns. Ornate beading comes into play in classic black and white gowns to tie the collection together. 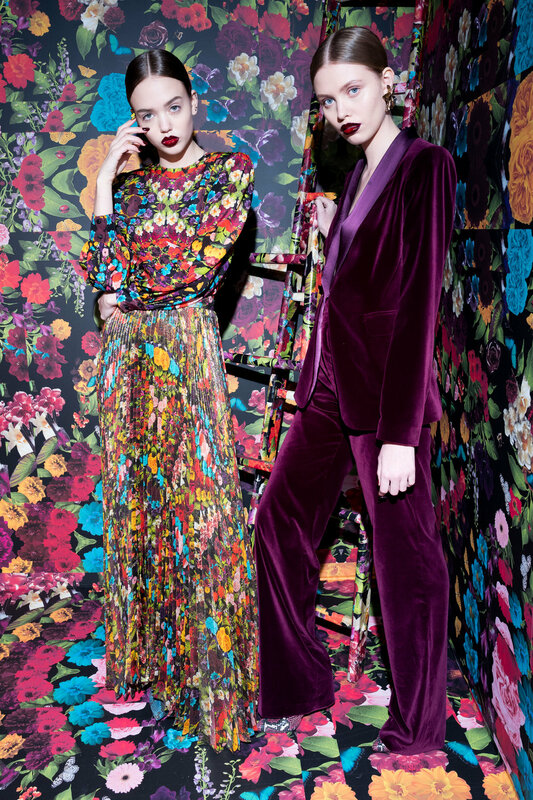 Luxurious tailoring of day and evening wear, a vibrant color palette and emotional prints combined to reveal a fall collection that is an empowering wardrobe for the alice + olivia woman. 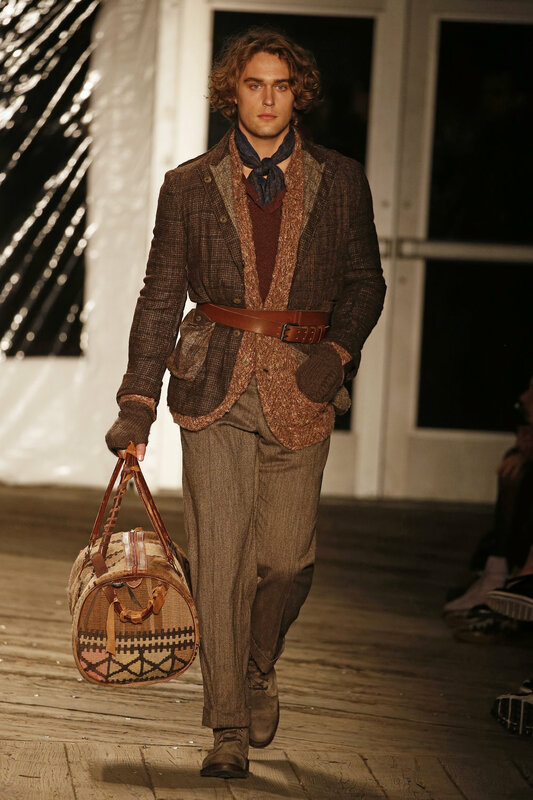 NEW YORK - Menswear Fashion Designer, Joseph Abboud debuted his Fall 2019 collection in a runway show on Monday February 4th at 6PM during New York Fashion Week. The collection celebrates themes of inclusivity, discovery, and Americana. During the peak of immigration through Ellis Island at the turn of the 20th century, this phrase, etched onto the Statue of Liberty, welcomed weary travelers after their difficult journeys toward a better life. Written by Emma Lazarus, these words represent the very soul of our country—the American Dream—and they serve as the foundation for the Joseph Abboud Fall 2019 collection. 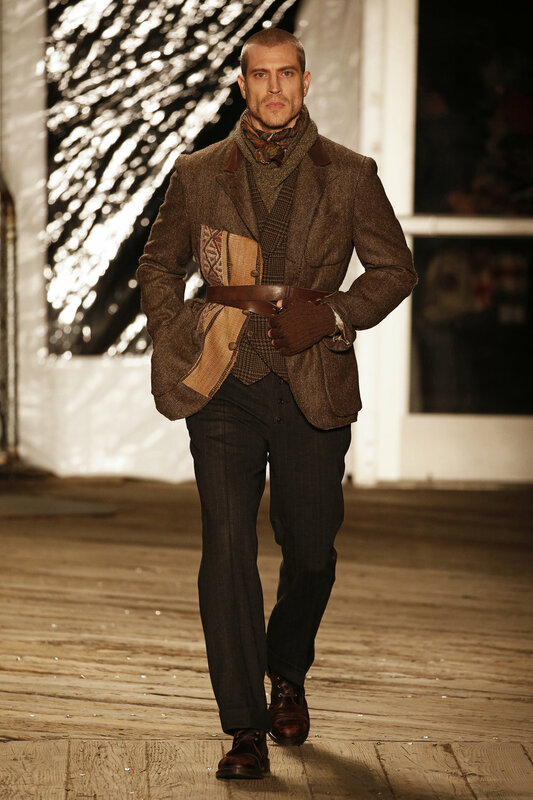 For over 30 years, the Joseph Abboud brand has stood for inclusionary masculinity, producing American-made clothing for all men. As such, this season, we aim to celebrate the melting pot that is America and those courageous enough to search out a new beginning. An homage to those early immigrants, the Fall 2019 collection recalls the clothes they wore as they pursued their destiny. Each garment has a story to tell, with washed fabrics, raw edges, and surprising combinations of texture and pattern reflecting homespun wares from around the world. The men who travelled here to forge a new nation were at once modest, proud, and filled with character. So too were their clothes, perhaps handed down from a father or grandfather. Mismatched buttons, sheared shoulders, and patches crafted from remnants of antique Kilim rugs nod to the care with which one might mend his treasured wardrobe, carried from one life to the next. 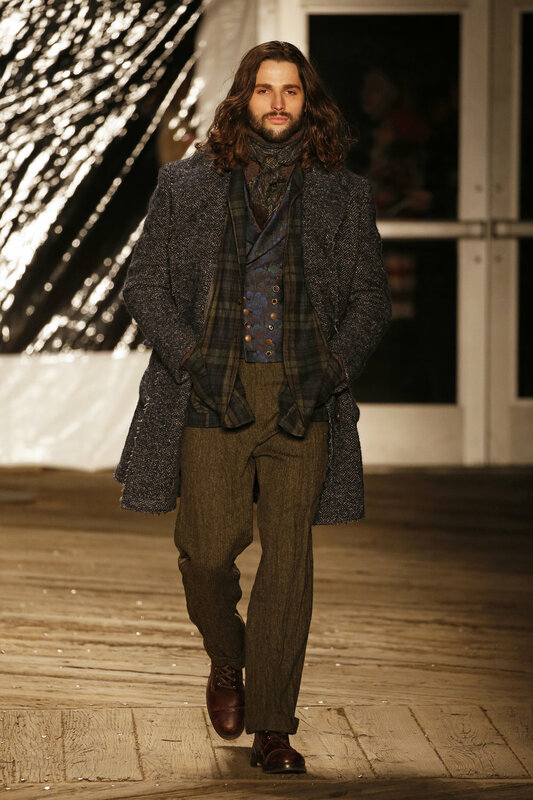 With a vintage palette and lived-in essence, the Fall collection features noble fabrics like washed tweeds, vintage velvets, and time worn flannels that inspire a workman-like tone. Trousers are full to allow for movement; capes wrap around the body like blankets; purposeful bellows pockets run throughout; and layering, a brand signature, is unstudied and eclectic. Each piece is as individual as the person who wears it. The utilitarian theme carries over to the accessories. Leather bags and duffels are made with functionality in mind; distressed fedoras and caps, designed in collaboration with Albertus Swaenpoel, have a time-worn quality. 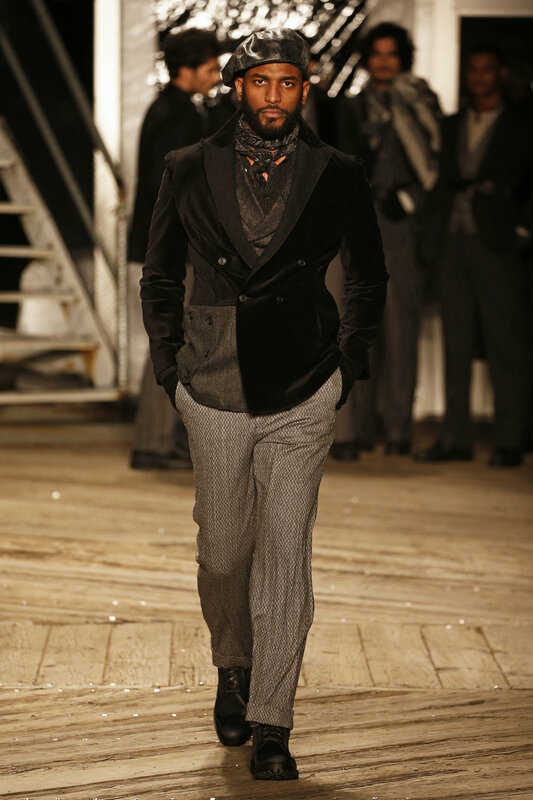 Eveningwear, too, remains humble, imbued with an heirloom feel and hard-earned confidence. Leather footwear, the product of our ongoing collaboration with American heritage shoemaker Allen Edmonds, is inspired by sturdy work boots. Allen Edmonds, like Joseph Abboud, encapsulates the American spirit with their time tested lasts and designs. Goodyear welted and handcrafted in Port Washington, Wisconsin, their footwear combines a reliability and quality that men recognize and trust. 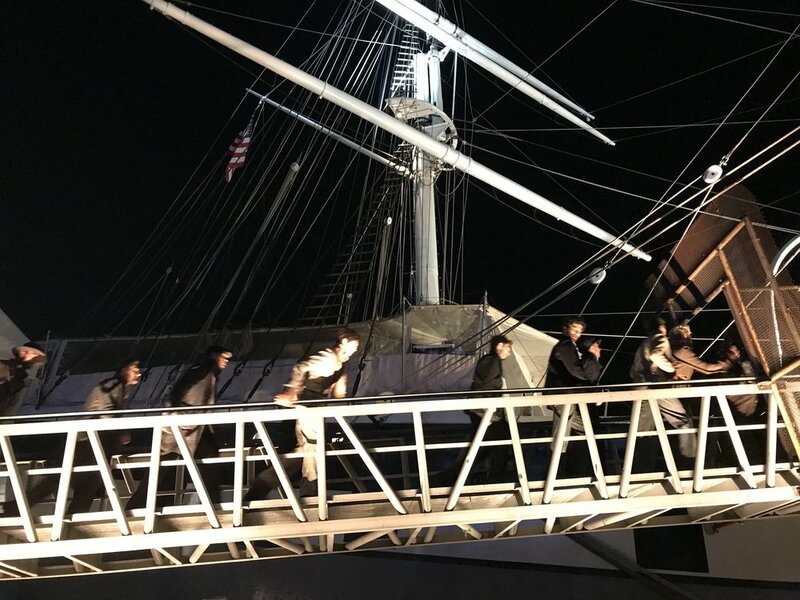 Set in the spirit of Ellis Island at Pier 16—part of the South Street Seaport Museum—this show honors who we were and who we are. As the grandson of Lebanese immigrants, it gives me great pride to celebrate America’s rich tapestry and diverse heritage the best way I know how: By making timeless, authentic, and quality clothes for all Americans. 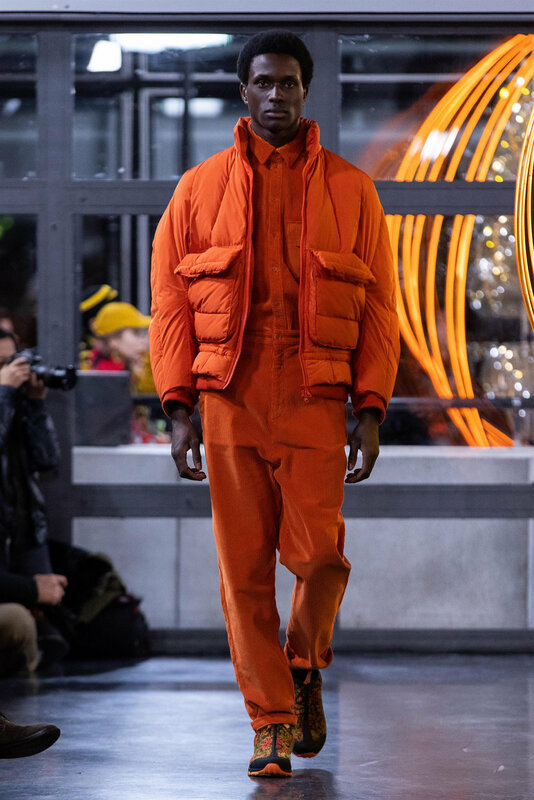 Back to The Future, the fashion house Dior sent models down a moving conveyor belt runway for its Fall 2019 Menswear show in Paris, which brought a runway with no walking required at all. This collection features a collaboration with the U.S. artist Raymond Petition, was shown on static models ferried past guests on a conveyor belt. 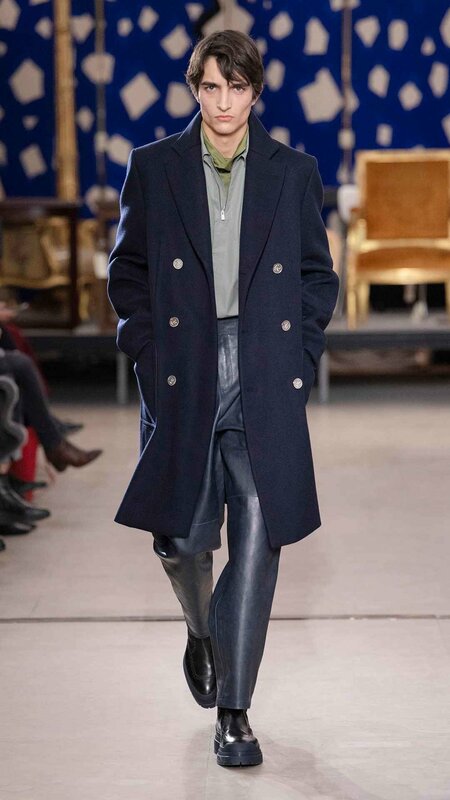 Exciting and subtle, Hermès unveils a striking line of classic looks and well-tailored, high-quality pieces for its Fall/Winter 2019 menswear collection in the highly confidential storerooms of the French Mobilier National, the institution responsible for furnishing every official building in France. 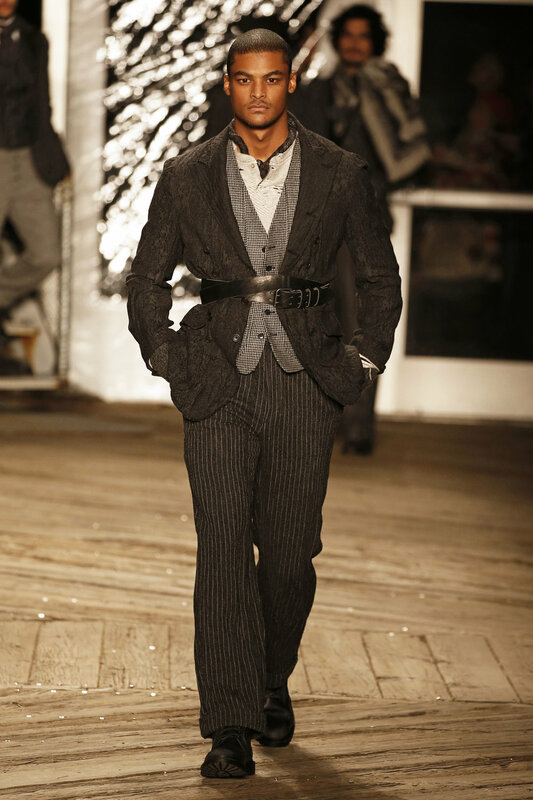 Throughout, the designer added bits of casualness to the luxurious well-cut wardrobe, including a gray double-breasted pinstriped formal suit worn with a relaxed polo shirt. Camel puffers sported silver linings. 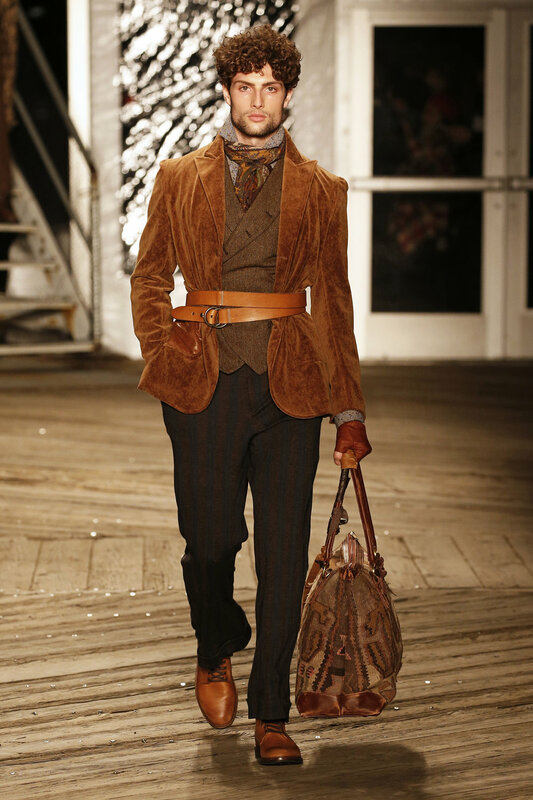 This collection suggests a man with exacting standards and sophisticated, yet unostentatious, tastes. He likes lines that are clean and precise, but unconventional, such as the subtle, rounded shoulder on this voluminous zipped parka or barely structured shoulder on a double-breasted cashmere coat. The flames that dance over certain pullovers emanate from the dragon that features as a pendant or on a bag. 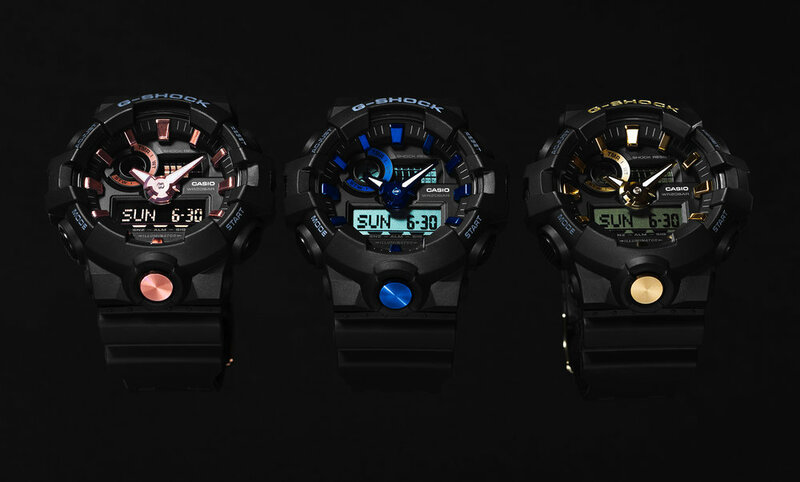 These are bursts of reverie or science fiction that are echoed in the radiant midnight blue which spans the collection. In Prussian blue, navy and indigo variants, it is complemented by the season’s other colours: black, charcoal grey and cigar brown. But flashes of saffron, sage, turquoise, lilac and vibrant green electrify a trench coat or a short jacket in rubberised canvas. Energy flows. British luxury brand, Ralph & Russo, return to Paris Haute Couture Week with their Spring/Summer 2019 Couture Collection, marking the eleventh season in which the brand has featured as part of the Chambre Syndicale de la Haute Couture’s official schedule. Inspired by Latin American femininity and the stylish legacy of La Doña, the beloved Maria Felix, the collection is a rich samba a la Mexicana of sixties pop colours, layered tassels, decadent pom-pom fringed skirts and wide brimmed sun hats; at once playful, alluring and reminiscent of the unparalleled glamour portrayed by Felix and the stars of the Golden Age of Hollywood Cinema. Vibrant and vivacious, this season’s collection is a celebration of Latin American femininity and tribute to the stylish legacy of La Doña, the beloved Maria Felix, her empowered persona, daring sensuality and spirit of fashion beyond fear. Unravelled and reinterpreted, the collection is a rich samba a la Mexicana of sixties pop colours, layered tassels, decadent tulle pom-pom fringed skirts and wide brimmed sun hats; at once playful, alluring and reminiscent of the unparalleled glamour portrayed by Felix and the stars of the Golden Age of Hollywood Cinema. Exuding glamour, the Spring/Summer 2019 collection leaves onlookers dreaming of a chic South American Summer and La Maria Bonita. Sara Sampaio and Shanina Shaik stunned in Ralph & Russo at the Victoria's Secret Fashion Show After Party last night in New York City. Victoria's Secret Angel, Sara Sampaio, wears a silver mirrored strapless mini dress featuring hexagonal laser cut stones and square crystals from the Spring/Summer 2019 Ready-to-Wear collection. Model, Shanina Shaik, wears a petrol satin bustier hand embroidered with silk thread, crystals and glass beads, with a pale pink tulle overlay skirt adorned with metallic floral thread-work from the Autumn/Winter 2017 Couture collection. In times that can easily feel apocalyptic – global warming, wars and refugees, species dying out – you can understand why people would want to reflect the peace, love and harmony of the original flower children. If a new gang of modernist hippies ever need a symbol for their cause, Ramsay-Levi delivered it in big golden ‘C’ – for Chloé – logo buckles adorning the copious amounts of bags featured in the show. In a Paris Fashion Week that sees the return of Hedi Slimane to the runway tomorrow, when he takes the reins at the newly-styled Celine, it was hard not to think of the C bag he has just launched for that house. Today’s show was an homage to the mutinists: the non-conformist line-up of faces which John Galliano has appointed to front his new fragrance (Teddy Quinlivan, Sasha Lane, Willow Smith, Hanne Gaby Odiele, Princess Nokia and Molly Bair). But also to the people he now surrounds himself with on daily basis. Contradicting the idea of a designer in an ivory tower, Galliano populates the Margiela atelier with students on work experience placements: the small team of stagiaires who assist on his collections is involved in the entire process of its creation, as well as opening his eyes to their ways of seeing the world. He is a fervid Instagrammer, seeking out young people like Javier de la Blanca to collaborate with – “Obsessed… obsessed!” he exclaims, on his seasonally-released podcast. “The freedom! 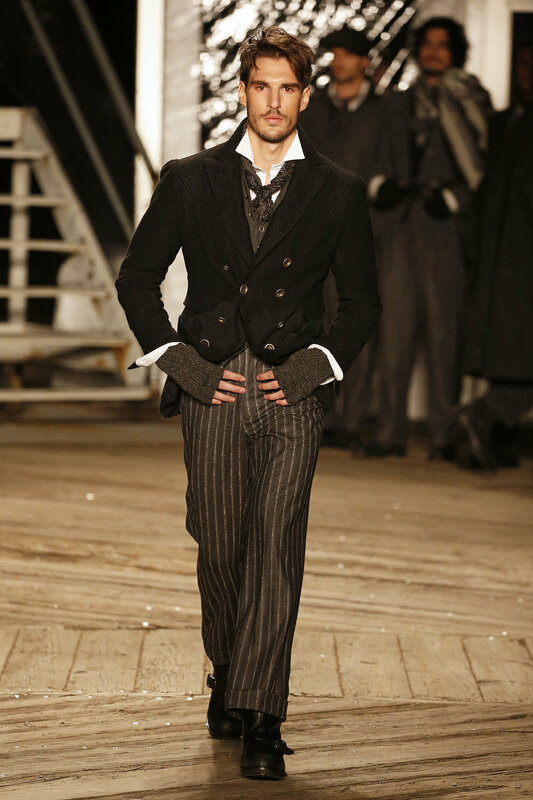 The shapes he’s throwing!” – and invites them into his world (he flew Javier in from Spain to walk his runway to express the “attitude, individuality and defiance” that Galliano so loves about him). It’s been 30 years since Jean Paul Gaultier put men in skirts here in Paris, but the image of the male body in a dress is no less stigmatised in the public forum today, even if we like to think so. That’s why the moment when Michele sent out a buzz-cut boy with tattoos and tennis socks in a slinky baroque-print scarf dress and a big backpack felt momentous. In this age of gender fluidity, a man in a dress should be the most insignificant thing to us, but it still got the camera phones going like no other look in the collection. It was great. It helped to fuel Michele’s most sexually loaded collection to date, which had men in super lowcut leotards and leather and rhinestone dance belt cups – in most sinister Clockwork Orange style – and opened with a horror short film that featured a man and a woman torching their tongues with a lighter over a bidet. Must have been Monday. Gucci moved its presentation to the first evening of the Paris shows to close a French trilogy that started with a pre-fall collection shot in Paris locations significant to 1968 and took out the Alyscamps cemetery in Arles for its cruise show. 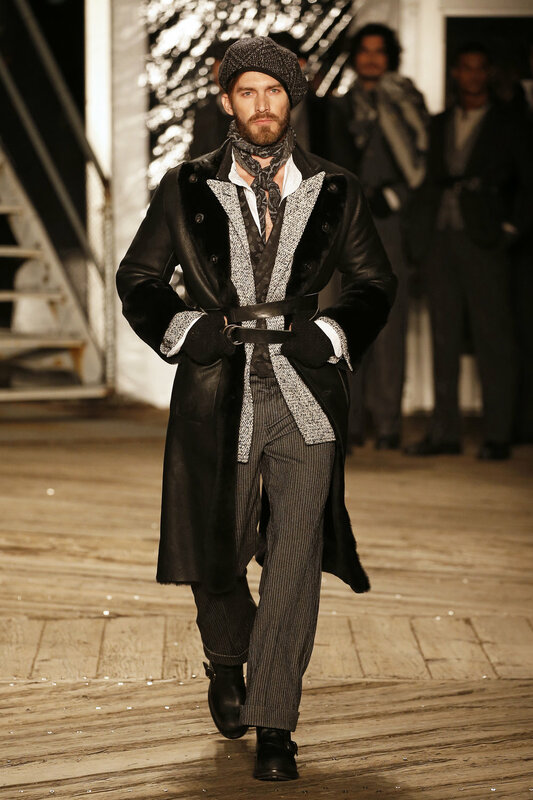 Alessandro Michele’s choice of venue, the fabled Le Palace nightclub and theatre in Montmartre – so gritty and dusty Gucci had to change the carpet – was a perfectly suitable choice for his underground elves. But it was the noticeable progress of Michele’s plentiful shtick and his bold styling moves that made this collection more compelling than his usual theatre. It was in homage to Leo and Perla, who didn’t just have the best cat names ever but set Italian experimental theatre on fire with their provocative takes on Shakespeare in the 1960s. Michele’s typically indecipherable show notes came with much ado about Leo de Berardinis and Perla Peragallo, but their impact on the collection seemed to be rooted in the confrontational, the alluring and the highly sexualised. Those tendencies were an unexpected and great move on Michele’s part; more of that, please, sir. “I realised something when I was going back to my room,” he said after the curtain had closed on his theatre and bows were taken. It was her first time at that rodeo, but not for the fashion industry, which has so often mixed performance art and runway shows to cringeworthy lows. Perhaps that’s what made this one so thrilling. Rarely has any foreign element in a fashion show been so entrancing, or added as much character to a collection as the one Chiuri commissioned from Sharon Eyal’s dance company this afternoon, in a dimmed tent in Bois de Boulogne. Maybe it’s because it wasn’t trying to be poignant. Rather, it was energised, spirited, ravishing and totally transfixing. You could have sat there all day getting shivers watching those racehorse bodies tripping and floating like they were trapped somewhere between underwater weightlessness and on fire, white rose petals dropping from the ceiling in thousand-fold. 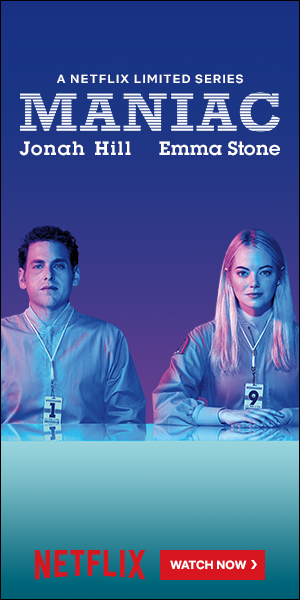 The soundtrack was amazing and hard to describe. 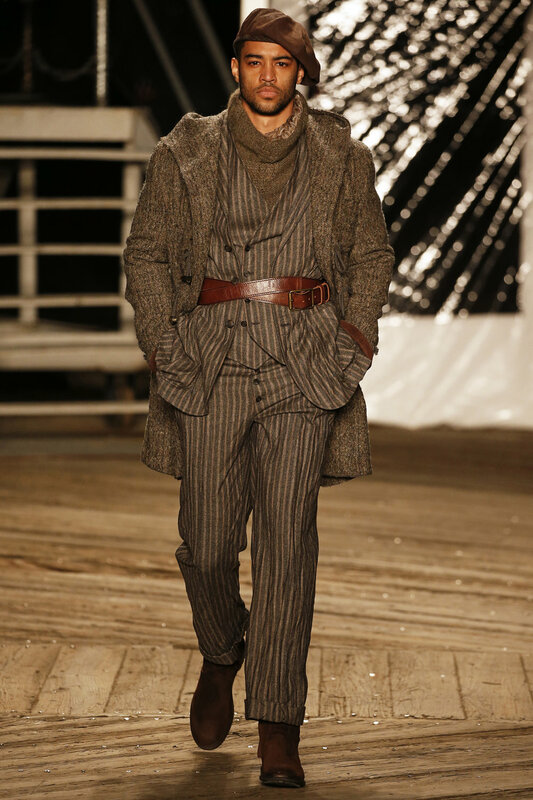 Watching one of his runway shows can sometimes feel a little masochistic – who actually looks like that on that holiday? The artfully-undone beach-to-bar pieces he presented made a convincing case for his sustained interest – and, paired with glitzy earrings and wedges dangling plastic Js from their soles, were Italo disco through and through. Remember that scene in Call Me By Your Name, when an assortment of beautiful Lombardy teenagers lose themselves to Psychedelic Furs? Camille Hurel, dressed in her hot pink hot pants and slinky silky halter could have been pulled directly from the cast.